Tips Archives | The Decorative Touch Ltd.
Are you confused on how to make all your favorite hardware finishes to work together in your home? We just completed a home where we mixed several metals including brushed gold, satin nickel, and even an oil rubbed bronze – and it looks fantastic! Stay tuned for new photos coming this fall of this gorgeous transitional home in Lenexa. In the meantime, take a look at this article from House Beautiful on the way mixed metals can create harmony in any room. Don’t say gold and silver can’t be friends. We are tackling this design question on a weekly basis with our clients. We truly believe choosing the right rug can define your space and will set the tone for casual, traditional, contemporary or luxurious rooms. Check out One King’s Lane essential rug guide for a room-by-room guide to choosing the correct size to fit your spaces. 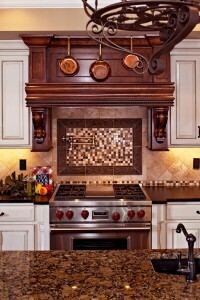 I am often asked about mixing cabinet finishes, and is it a trend or is it a timeless statement? I find that its important to be true to yourself, and create the eclectic style you crave! Its a great option to think about mixing and matching cabinetry finishes, and I sure don’t see this as trendy, just another interesting way to make your space special! When you’re dealing with a small space, such as bathrooms, you want to create an illusion of space. The best way to accomplish this will be by using dark cabinetry finishes down low, switching to lighter finishes as you move upward. The dark color works as a visual anchor. 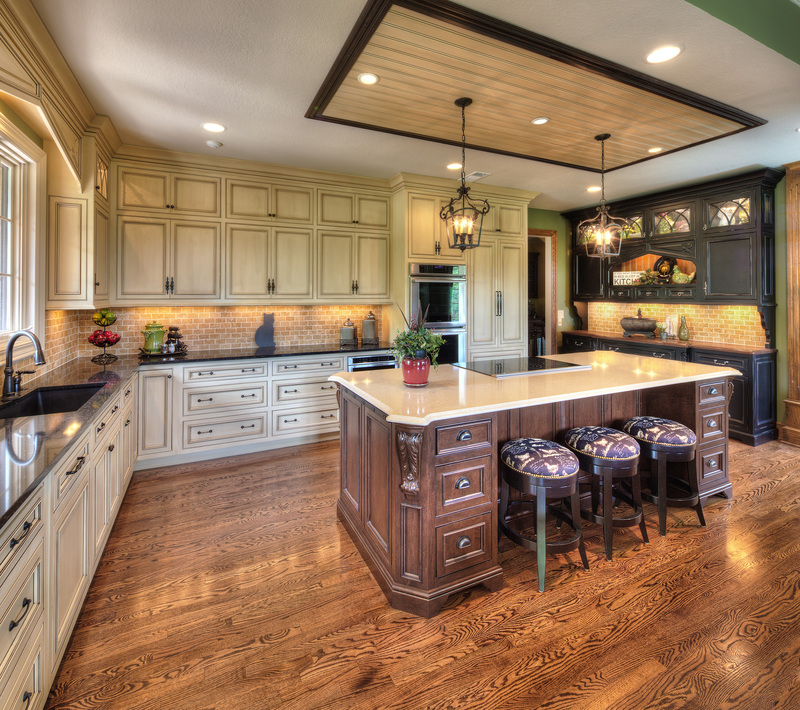 Don’t worry about choosing cabinetry finishes that might be trendy at the moment. Trends come and go. 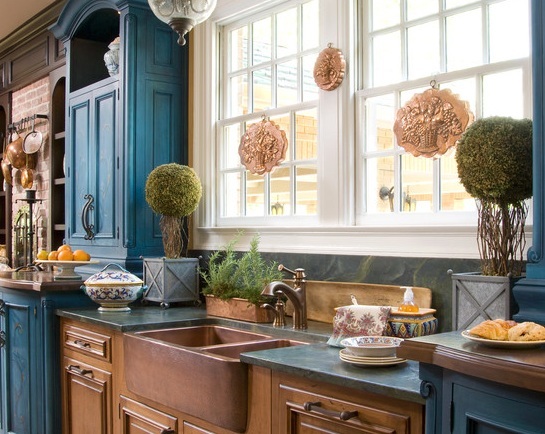 Instead of trying to be fashionable, allow your instincts to guide you when making choices about the types of cabinets you want to mix and match. Even though you might be mixing and matching styles and colors, try to stick to a theme. 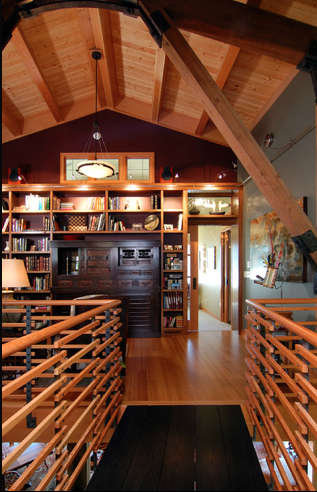 For example, pick natural wood grains or bright colors throughout the entire room. In addition to playing with different cabinet doors, don’t be afraid to try unique baseboards. The baseboard should make a nice accent piece. When you allow yourself to take a chance and try an eclectic mix-up of varying types of cabinetry finishes, you’ll quickly find your house has become home and does an amazing job showing off your unique and fun personality. Decorative Touch Ltd.
It’s ok to admit it, when you watch HGTV every night (yes, every night, I know it’s addicting) after work, you get jealous at the awe-inspiring interior design of the houses featured. Then you see it, a wall-to-wall bookshelf completely filled with books and it looks amazing; it even has a ladder to reach the books at the top! 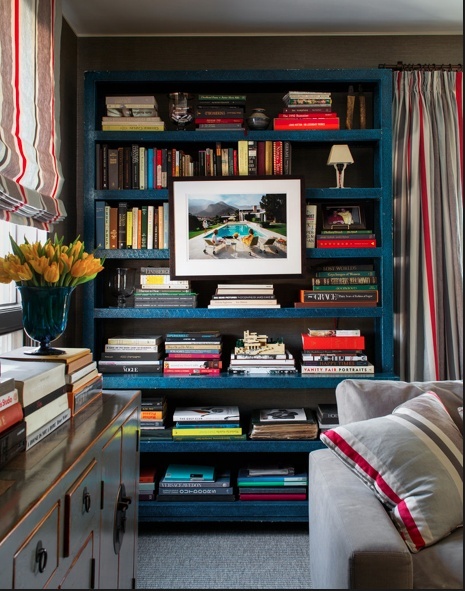 Cut the clutter: orderliness is in these days and the best way to have your bookshelf looking organized is to not over-crowd it. 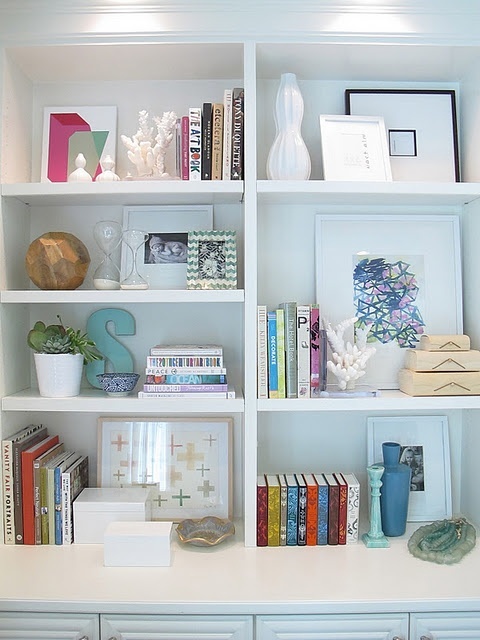 Leave some space between each object on the bookshelf instead of cramming a bunch of objects on the shelf. Remember, less is often more! Books books books: This seems obvious (it is a BOOKshelf after all), but utilize books. They will make any room or space look sophisticated. Don’t be afraid to arrange them in unique ways too – some standing upright and some on their backs. Match styles: If you’re looking for a traditional look, use all traditional objects; it will give the bookshelf a look of unity. If you’ve finally decided that you want that HGTV look in your Kansas City home’s interior design, contact The Decorative Touch today. Nothing can change the atmosphere of a master bath quite like well-chosen draperies, but some homeowners find it difficult to settle on a particular style. At The Decorative Touch, we believe in helping make that decision easier–with over 28 years of experience in the field, we have the knowledge and sense of craft to make your master bathroom design truly unique. Adornment. 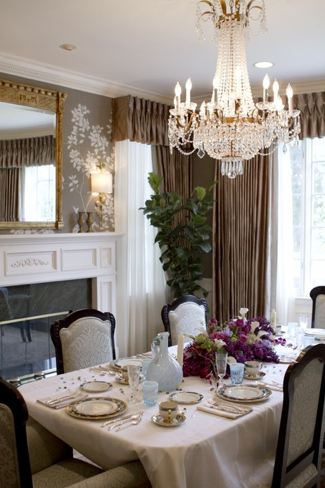 An unconventional hanging style allows these ornate draperies to radiate class and opulence while framing the room’s large window rather than hiding it, softening the the room with creative but timeless elegance. Framing or privacy. Despite adhering to a more modern style, the density and texture of fabric in these draperies conveys a simple elegance. Hung in a classic but versatile style, they can be pulled back to reveal a stunning view, or released from their tiebacks for privacy. Enhancing architecture. Not all draperies are meant for windows, we designed this clever placement of drapery that lends a sense of depth and luxury while drawing attention to the unique form of the master bath. Whether you’ve already envisioned your dream draperies or need a bit of guidance, The Decorative Touch will work with you to make your fantasy a reality. 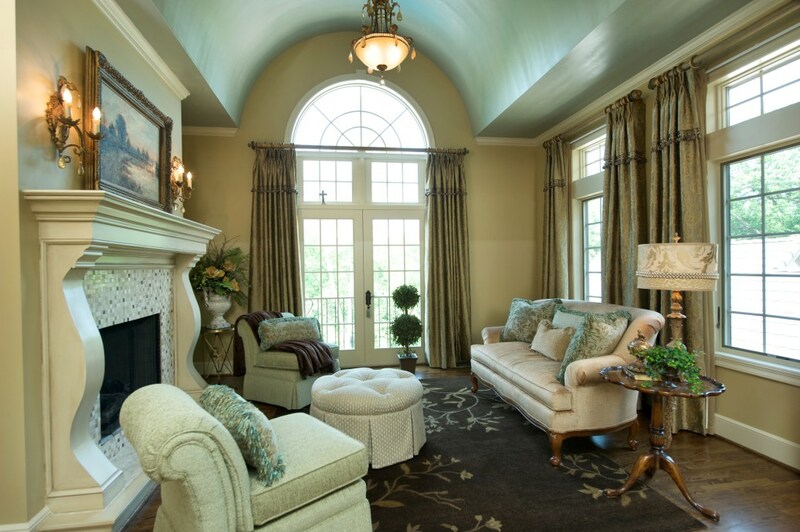 There is a common misconception that a traditional interior design style is fussy and outdated. This couldn’t be farther from the truth as designers and homeowners continue to push the boundaries of traditional design by integrating many current design trends within the style. Refined rustic Modern fabrics, shapes, and accents add a refined look to classic rustic lighting. This evolution of the rustic look infuses a modern feel to the casual design style. 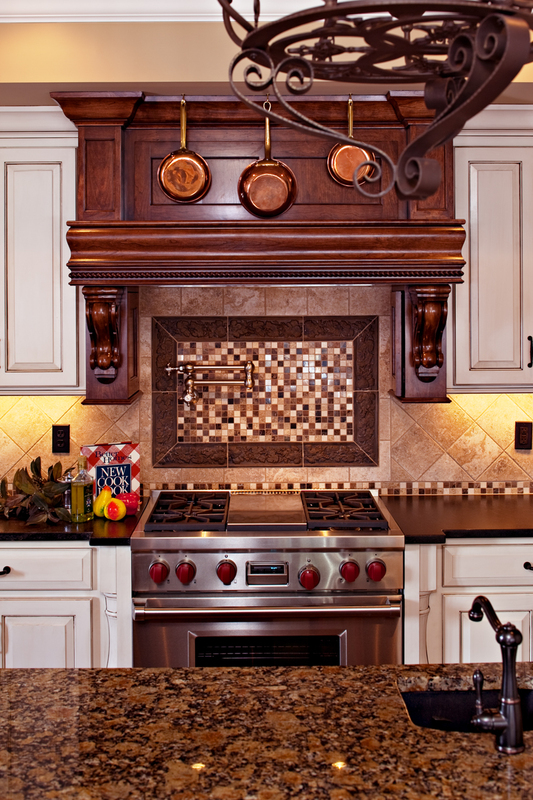 Layered lighting Many traditional homes boast large, multifunction kitchens that require a variety of lights. Using layered lighting to combine functional with overhead lights will create a warm ambience while providing targeted lighting via can, pendant, under cabinet, and track lighting. Crystal If you want to add a splash of drama and elegance to your home’s interior consider investing in crystal lighting. This lighting style is best integrated into a traditional home in classic chandelier shapes. The Decorative Touch is ready to help you find the perfect lighting for your home. Contact us today to learn more about the variety of lighting options available to complement your Lenexa home’s interior design. The beginning of a new year is a great time to step up the style in your house. Interior design in 2013 is all about using color to brighten up your home. If you’ve shied away from color in the past, now’s the time to step out of your comfort zone and discover how great it feels to have a room pop with color. Here are a few places to start. 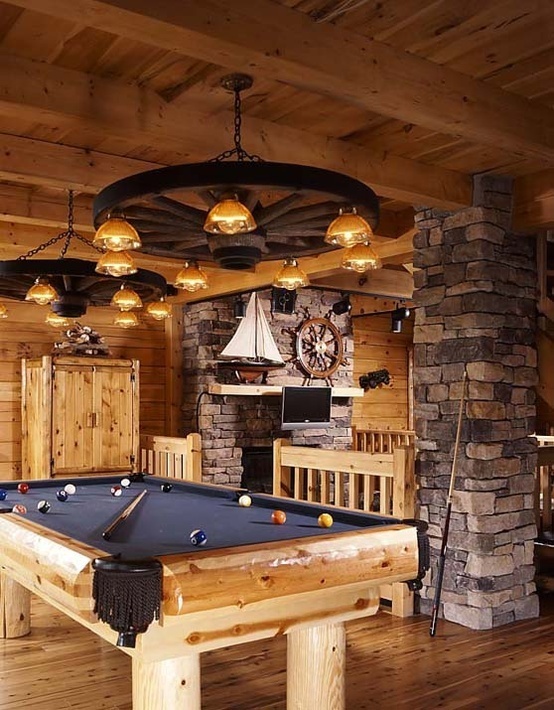 A billiard room is already fun, so it’s a great place to play with color. Let the centerpiece of the room — the pool table — set the tone for everything from the walls to the carpet. 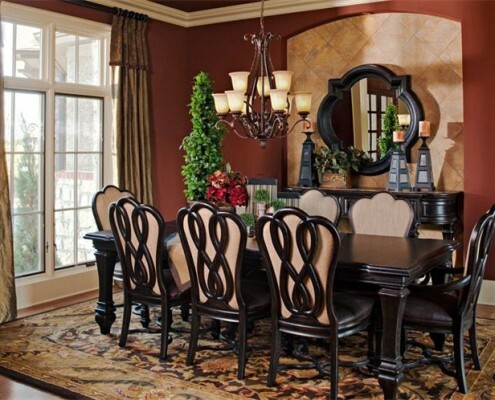 Let the classic burgundy tabletop play stunningly into upholstered walls, stunning club chairs and patterned carpet. 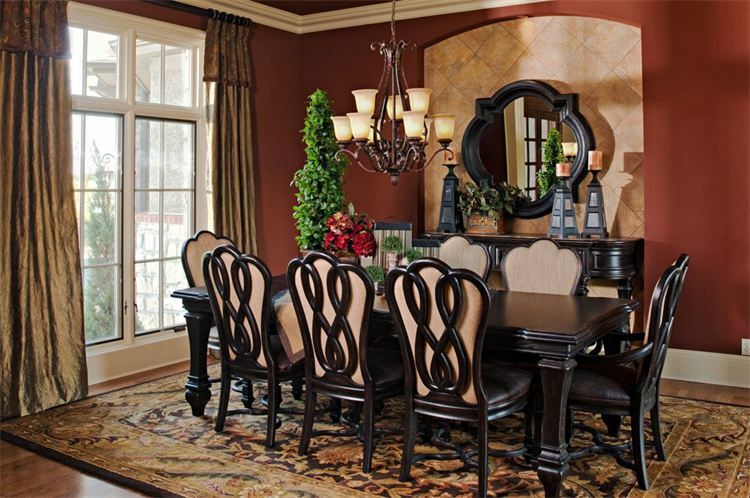 When you gather around the table to enjoy a delicious meal, you want the atmosphere to match the occasion. In the dining room, create that warm feeling with rich golds and browns on Parisian chairs, an elegant mirror, a classic chandelier and hard-wood flooring. Balance out the room with a cooler shade of cream on the walls and window panels. Another room where neutrals work well is the den, a room made for relaxation. Boost the subtlety of the color palate by using exciting patterns on the window panels, carpet and throw pillows. To revamp your home’s style for the new year contact The Decorative Touch .